Posted by jkahane in cangames, conventions, coriolis rpg, gaming hut, personal, roleplaying games, rpg hut, torg eternity rpg, trudvang chronicles rpg. Day 31 – What do you anticipate most for gaming in 2018? I can’t say there are any rpgs that I anticipate coming out in 2018, though I am looking forward to the upcoming The Trudvang Chronicles and supplements for the Torg Eternity and Coriolis – The Third Horizon rpgs. That said, I would like to be able to run a decent length campaign of one rpg in 2018, preferably science fiction and/or fantasy as well as some good (and memorable) gaming experiences. I’m looking forward to convention gaming at CanGames 2018 and perhaps one other gaming convention. And I would dearly love to play in a couple of rpg campaigns as well, since I find running games every week to be somewhat exhausting and creativity draining at times. Posted by jkahane in coriolis rpg, gaming hut, personal, roleplaying games, rpg hut, trudvang chronicles rpg. Day 15 – Which RPG do you enjoy adapting the most? This is a tough one, since I’m not sure I actually understand the question. In the case of adapting something into an rpg, I would have to say that I rather enjoy adapting the Mark Schultz Xenozoic Tales (aka Cadillacs & Dinosaurs) to a roleplaying game set of rules, since I don’t really like the GDW game that came out. There are also a couple of other game concepts, mostly from novels, that I’d love to adapt but there just isn’t time and all that. If you’re thinking of adapting material into a pre-existing rpg, I would have to say that it’s been fun adapting material from the Arabian Nights stories into the Coriolis – The Third Horizon RPG, as that’s been a good challenge. I’m also looking forward to adapting some of the Scandinavian myths and legends into the Trudvang Chronicles RPG when that game comes out. Posted by jkahane in book hut, personal, photos, reading hut, trudvang chronicles rpg. Most folks know how fond of books I am. 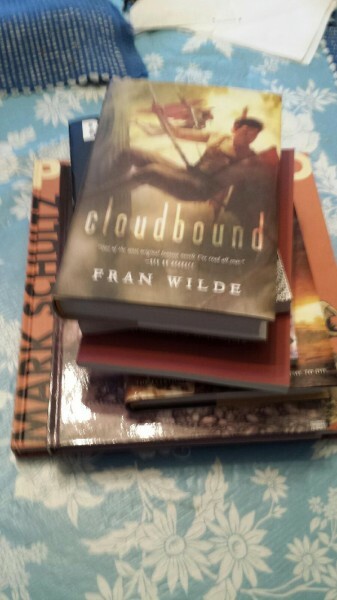 Well, I received a rather large, heavy load of books in the mail from Amazon today. 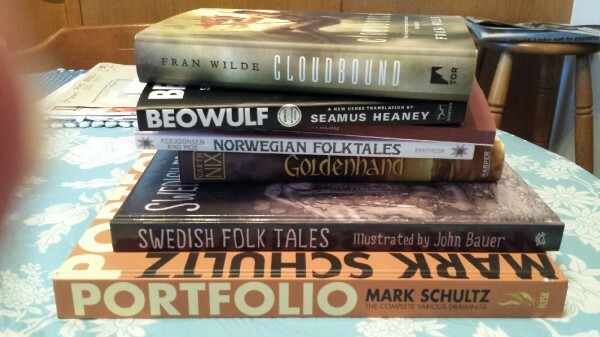 In addition to Fran Wilde‘s Cloudbound, I also received the massive art porfolio by Mark Schultz, a book of Swedish folk tales, a book of Swedish faerie tales, a book of Norwegian folk tales, two books of Swedish faerie tales and mythology, a book of Norwedian faerie tales and stories, Garth Nix‘s latest book, Goldenhand, and a copy of Beowulf with annotations. Posted by jkahane in personal, rpg hut, trudvang chronicles rpg. 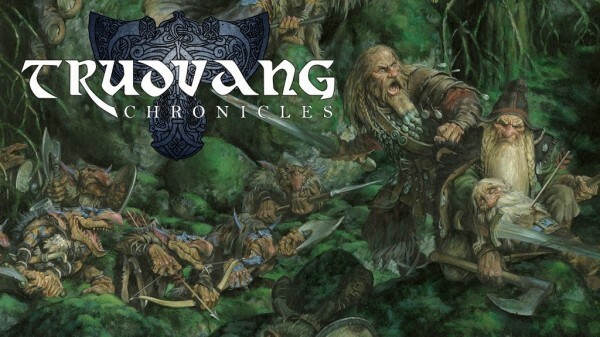 One of the Kickstarters that I’ve been backing for the last month or so is the Trudvang Chronicles RPG Kickstarter project. What is The Trudvang Chronicles? Trudvang Chronicles is an award-winning fantasy roleplaying game published in Swedish in 2000 by RiotMinds (with a revised edition in 2006) based on the mysterious and dark Nordic and Celtic sagas and myths. This is a world of enchanted forests, trolls, dragons, spirits of nature, heroes and adventures. Trudvang is both grim and dark, epic and yet down to earth, with a melancholy tone of an ancient age when nature was a living creature and magic was wild and strong. But above all, Trudvang is a saga. And this marvellous game is now being brought to the English audience. While I am really fond of Norse mythology and gaming (as most of those who follow my blog know), most (if not all) Norse inspired roleplaying games are about Vikings or about the pre-Viking cultures and societies. The Trudvang Chronicles is a fantasy rpg inspired by the Norse and Celtic myths, with stunning artwork, a detailed game world that invokes the Scandinavian inspirations, and isn’t about Vikings (per sé ). The Kickstarter for the game has already brought in over 2.4 million SEK (Swedish currency), and has almost 3,000 backers for the game. Given the Kickstarter is in its last 20+ hours or so, if you have any interest in this mythology and the kind of game world that The Trudvang Chronicles offers, please take a look at the Trudvang Chronicles RPG Kickstarter, and if it appeals to you, pledge around it in these final hours.